12 days Kailash Yatra by Helicopter starts from Kathmandu. 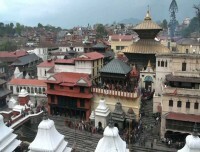 Make special darsan of Pashupatinath in Kathmandu before leaving Kailash Yatra. We take a regular flight to Nepaljung and to Simikot. Chartered helicopter flight to Hilsa and reach at Tibetan town Taklakot near Lake Manasarovar. 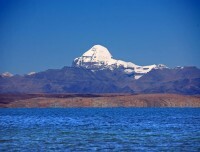 You will have enough time to explore Lake Mansarovar. Special worship at bank of the Lake is performing by group every time. 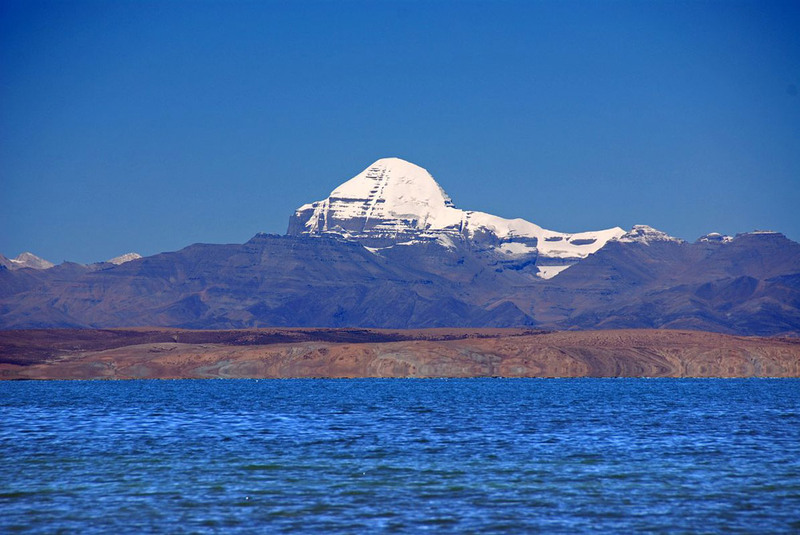 It is believed that taking bath at Lake Mansarovar washed all the sins done in a lifetime. 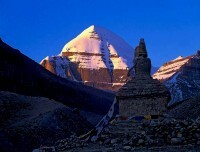 Yatra includes 3 days Kailash Parikrama. 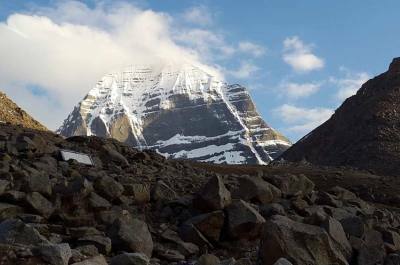 Kailash Parikrama or Kailash Kora is trekking around Mount Kailash to dedicate to Lord Shiva and Parvathi. After completion of Kailash Yatra drive same way back to Nepal Tibet boarder Hilsa. Take another chartered helicopter flight to Simikot, take regular flight to Nepaljung and continue to Kathmandu. 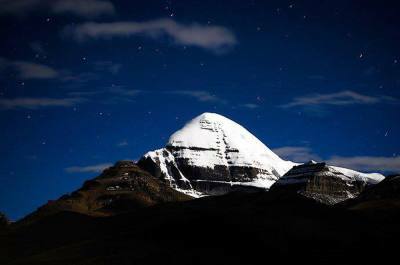 The best season for Kailash Yatra by Helicopter from Kathmandu is month of May, June, end of August and September. Early in the morning, take chartered helicopter flight to Hilsa. it is Nepal-Tibet border. cross immigration after necessary formalities by Nepal and Tibetan guides/ Leaders. Drive an hour with Tibetan bus to reach first Tibetan town Taklakot. Today is acclimatization day at Taklakot. Guide from Tibet Kailash Travel lead you in small hiking around the hill. After lunch you are free to walk around. At the same day you can plan to buy equipment you need. Can change Chinese Yuan from Bank. Also can plan to buy Chinese SIM card. Early in the morning, drive to Hilsa. Cross immigration and take chartered heli flight to Simikot. Than regular flight to Nepaljung. same day can take connecting flight to Kathmandu. Transfer to Hotel. Dinner and overnight. After your breakfast in Hotel, fly back to Kathmandu. It is 55 minutes flight with regular aircraft. Transfer to hotel in Kathmandu and take free time. We drop you to International airport for your final departure. You have to be at airport before 3 hours from your original flight time. The itinerary can customize as per group interest. Option to add Muktinath Yatra which is another 4 more days. 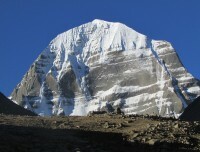 Accommodation in Kailash Tour is in Hotels and guest Houses. Hotel in Kathmandu, Nepaljung is based on twin sharing on 3 star category. Guest house in Simikot and in entire Kailash is in group sharing room. You do not need to sleep at tent the or at camp. Tour cost including basic guest houses only. Guest houses in Kailash region are similar in every stop. There is an option to make upgrading of Guest house in Darchen which is possible with your own extra cost. Transportation in entire tours as per itinerary is in private comfirtable bus. It is regular flight from and to Kathmandu Nepaljung Simikot. Chartered helicopter flight to and from Simikot Hilsa. Foods on the trip are pure vegetarian. Vegetarian foods are served by Hotel in Kathmadnu, Nepaljung and in Simikot. In entire Kailash region, our own cooking team prepares delicious Indian style foods. During Kailash Parikrama Packed Lunch are provided but hot simple dinner is served at evening. You also can bring some of your favorite dry foods. Toilet facilities in Kailash region are very basic. It is outside of the room as a common use. Toilets are dirty due to lack of enough water. Peoples are using outside toilets freely in Mansarovar, Derapuk and in Juthulpuk. Toilets in Nepal part, Kthmandu, Nepaljung and in Simikot is inside rooms and it is clean enough. Kailash region is the lack of Hospital and medical facilities. Only one hospital service is in Taklakot. Rest of other villages and towns are without any medical stores and Hospital. In the case of emergency, have to drive Taklakot for a hospital. 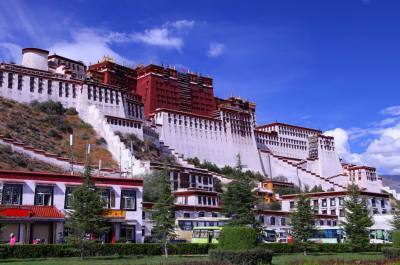 The team from Tibet Kailash Travel bring basic medicines in the entire tour. Our leader and guides have basic first-aid knowledge. Kailash Yatra is group departure. We need at least 17 pax to make Kailash yatra from Lucknow, which makes your reasonable tour cost. Group size may go more than 17 pax too. Private trip for less than 17 pax can be also arranged with a different cost. Best season for Kailash Yatra by Helicopter from Kathmandu is month of May, June, August and September. Coldest month and moonson season are not suitable.